Difference between small boring machine and portable boring machine_Industry knowledge_Xinxiang Lantu Machinery Co., Ltd. The main advantage of the small boring machine is that it is small in size and light in weight, because the portable machine is suitable for one person or two people, especially when used in the field. The more important machinery is not only portable but also the principle of mechanical performance to achieve a full range of applications and performance. 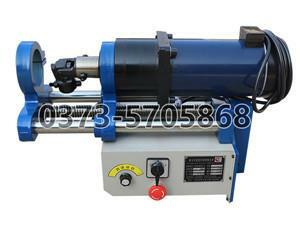 The small excavator boring machine is required to be small in size, light in weight and easy to install and operate. Therefore, it is required to pay attention to the mechanical configuration. The power material structure of the drive system is designed to achieve the desired effect. The portable boring machine is a more convenient and convenient boring machine based on the original products and other similar products. Its aluminum electric shell not only reduces the overall weight of the fuselage, but also achieves good heat dissipation. Effect. After the gear of the deceleration machine is finely ground, the traditional original noise is eliminated, and the service life of the reducer is prolonged. The aluminum casing is also lighter and more convenient than the traditional iron casing. The portable boring machine operates. In the process, the user can set the spindle speed according to his own needs. The cutting speed completely solves the three major problems of the spindle speed limitation, the cutting feed rate is limited, and the installation is cumbersome in the current market. The machine is more prominent. Because of its small size, it is fully functional. It can be installed at 360° angle and is flexible and convenient to use. The motor and the spindle are installed at 90 degrees, which solves the processing problem of the two holes at the bottom of the boom of the engineering machine. It does not need to disassemble the cab and the toolbox, which improves the efficiency and reduces the number of employees. The portable boring machine has won praises from many users for its small size, convenient carrying, reasonable price, reliable quality and good reputation. Its great advantage is that it is not restricted by location and space. Industrial and mining enterprises and construction sites can be easily carried and used at any time and anywhere.